Over the last few months I have been watching, evaluating, and grading prospects in the 2018 NFL Draft class. I have about 60-70 players evaluated, and while I am a bit behind some of the internet's draft "experts," I feel like I have a good grasp on the positions of need for the Dallas Cowboys. With the 2018 NFL Scouting Combine beginning this week, I thought it would be a good time to share my first top 25 "big board" of the draft season. These are, regardless of position, the best 25 players in the draft class in my opinion. And of course, there are some familiar names I've discussed at length here at Inside The Star. This one is easy. Notre Dame guard Quenton Nelson is the best player in this draft class. He is a special talent, and the most complete offensive line prospect in years. If Nelson fails in the league, there's really no hope for draft evaluators, because he looks as sure as it gets. Though I believe Roquan Smith is clearly a top 5 player in this class, his evaluation has actually become a bit controversial recently. NFL Network's Daniel Jeremiah dropped him out of his top 15 altogether, and others have wondered about his fit in the NFL due to size concerns. Smith is incredibly athletic and displays exceptional instincts as a linebacker. He should be a day one starter and a stud at WILL in the NFL. Minkah Fitzpatrick is another high-profile defensive prospect which has caused much discussion. The Alabama defensive back possesses the versatility to play all over a defense, but was used primarily as a safety in college. A good rule of thumb: if Nick Saban plays you somewhere, that's probably your best position. Fitzpatrick is my top graded defensive back in this draft class. Bradley Chubb continues this run on defensive players, coming in as the top graded EDGE. While I don't think Chubb is the prospect that Joey Bosa or Myles Garrett were, he does warrant a top five pick this year and is far and away the best defensive end in his class. 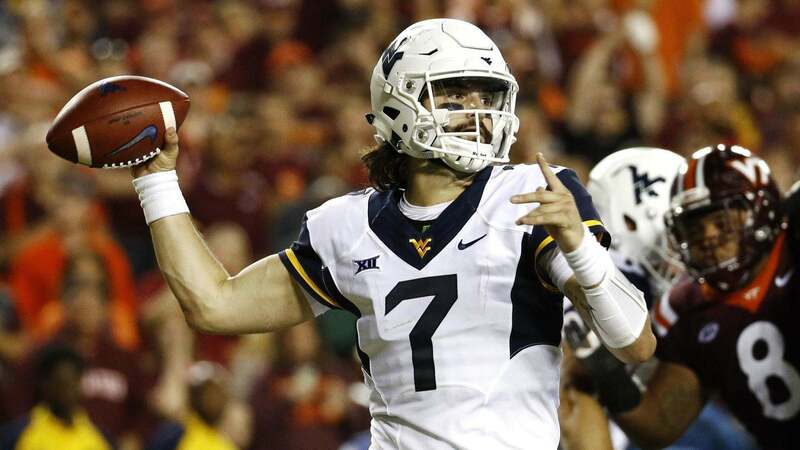 The 2018 draft class has been heralded for its quarterbacks for over a year. And while most seem to believe that USC's Sam Darnold, UCLA's Josh Rosen, or even Wyoming's Josh Allen is the top QB, I see Baker Mayfield as QB1. Mayfield has all of the intangibles you want to see in a QB - from his competitiveness to his leadership - and possess immense talent as well. Though knocked for his height, I believe Mayfield can be a top-tier quarterback down the road if drafted to the right situation. Similar to Minkah Fitzpatrick, Derwin James faces questions about what position he will play in the NFL. To me, James is an athletic box safety that both challenge tight ends in the passing game and makes an impact against the run. He is going to kill the combine this week, and I doubt he makes it out of the top 15 picks. Talked about as a future NFL starter since he was in high school, quarterback Josh Rosen is the 7th best player on my board. The dream scenario for Rosen would be for the Browns to pass on him, and the Giants to snag him 2nd overall. Here he could develop behind the aging Eli Manning for the time being, and become their starting quarterback relatively quickly. Though two defensive backs are ranked ahead of him, Ohio State's Denzel Ward is "CB1" on my board. Ward is an undersized, yet sticky coverage corner who wins with toughness, ball skills, and overall quickness. Ohio State has become "DBU" as of late, and Ward continues that tradition this year. There has been a lot of disagreement within Cowboys Nation about Maurice Hurst, but all I see is a very good player and the best 3-technique in the class. Hurst's get-off, hands, quickness, and awareness make him a terror on the inside. Hurst is quick enough to penetrate and decimate the run game while also being a very impressive interior pass rusher. 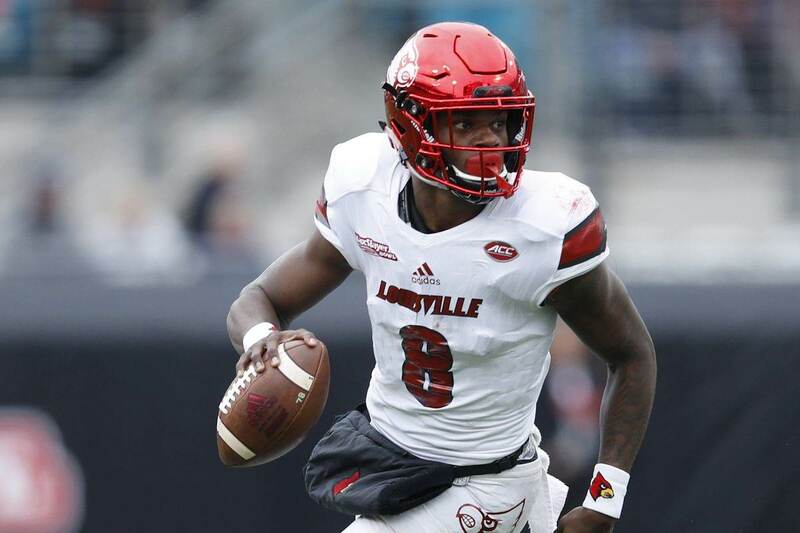 Sorry Bill Polian, Louisville's Lamar Jackson is QB3 on my draft board, and there's a chance he's higher when it's all said and done. Lamar Jackson does have some room for improvement as a passer, but his flashes are as good as anyone in this class. He can certainly "handle" being a pocket passer in the NFL, and he is one of the most dynamic quarterback prospects in a long time. Compared to consensus I'm low on Saquon Barkley, but I still believe he will be a good pro. Barkely's vision and decision-making are questionable at times, but his athleticism and overall talent level warrant him consideration in the top 15. Isaiah Wynn was the best offensive lineman on one of the best rushing offenses in the NFL at Georgia. Moving inside to guard, Wynn becomes my clear OL2 in the draft class, as I believe he possesses the traits needed to be a dominant interior offensive lineman. Vita Vea's traits are off the charts. Powerful enough to embarrass offensive linemen while also unbelievably athletic for his weight, Vea can be a really good pro if he can get his technique down and remain consistently productive. If we were just drafting off 2016 tape, Harold Landry might be a top 10 pick. But after being plagued by injuries and inconsistent play, Landry may drop in the 2018 NFL Draft. He's still a top 15 player on my board, however, as I believe his pass rushing traits will translate well to the NFL. The best receiver on my board, Calvin Ridley is a ready-made Z receiver at the next level. His speed, route running skills, and ability to create separation make him a sure-fire first round pick in this draft class. Edmunds is not the polished football player that Roquan Smith is, but his athletic traits and ceiling make him a real top 10-15 target for NFL teams. Edmunds looks like he was made in a lab, and once his football ability matches his freakish gifts, he can be a fantastic player. Though there are certainly questions about his off-field history, Mike Hughes is still graded as the second best cornerback on my board. Like Denzel Ward, Hughes is undersized, but he had no issues in coverage against bigger wide-outs in college. Hughes is the best press-man corner in this draft class, while Ward excels much more in off-coverage. He's not the best cornerback in this draft, but Jaire Alexander is certainly my favorite corner in it. Alexander will bring a different attitude to your defense from day one, and with his toughness and coverage abilities I think Alexander is a first round prospect. If Da'Ron Payne is the player we saw during the College Football Playoff, 19 might be too low for him. But when you take a look at the totality of his play at Alabama, 19 feels about right. He's not nearly as consistent as you'd hope, but his flashes are as good as any defensive tackle in this loaded interior class. 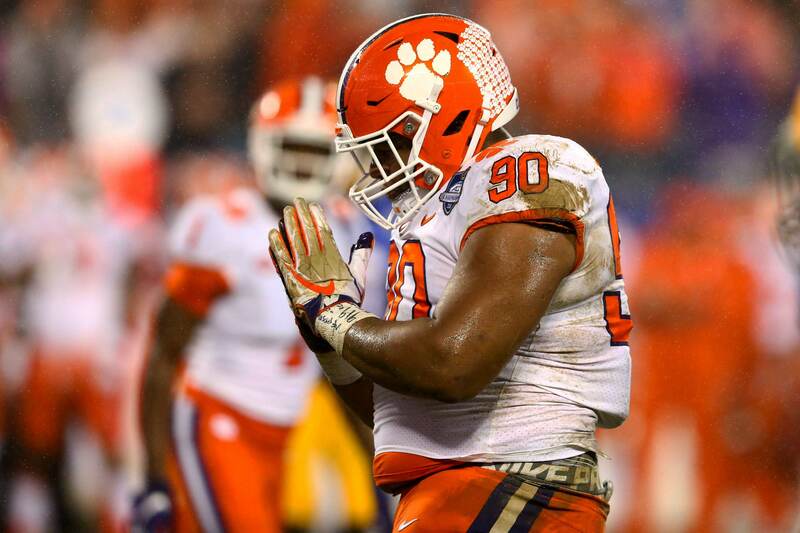 James Daniels is a plug and play starter on the interior, and will especially excel in a zone blocking scheme. Excellent on reach blocks and when executing outside zone, Daniels is a balanced and fluid athlete on the inside. He is also a rather powerful blocker, and is OL3 in this draft class. Daniels' teammate, cornerback Josh Jackson is almost everything you want in a first round corner. As of right now, he is too much of a liability as a tackler and against the run for me to put him above these other defensive backs, however. Even with that being said, I still believe he has the makings of a potential star corner in the NFL. I'm lower on Darnold than most seem to be, but I still think he has the chance to be a very good NFL starting quarterback. I think his decision-making is very questionable, and he was a bit too turnover prone for my liking, but I won't be mad at a time for taking him early in the draft. 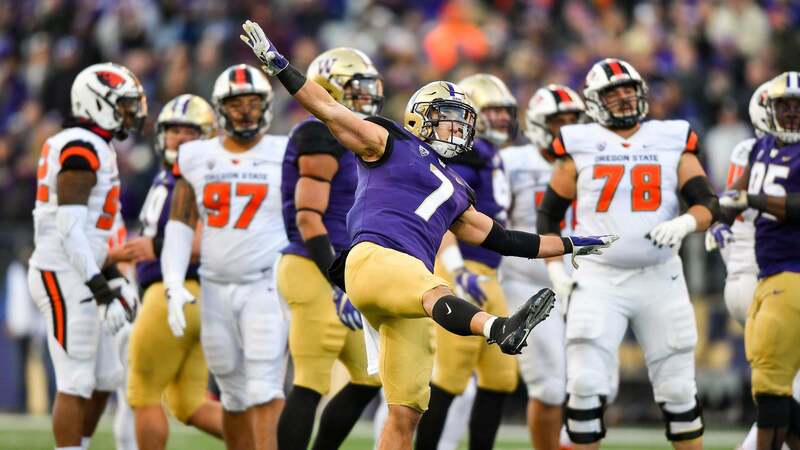 Will Hernandez is an absolute mauler as a run blocker, and with his powerful hands, quick feet, and strong base, Hernandez will be a quality guard for a long time in the NFL. How much better is Saquon Barkley than Ronald Jones? Yes, I really mean that question. I think both can be excellent pro running backs, but Jones' late first-early second round value could turn out to be sky-high. DJ Moore is a short receiver, something teams tend to avoid, but with his route running ability, instincts, and overall speed, Moore is a late first round prospect on my board. Plus he is someone I'd love to see fall to the Cowboys in the second round.